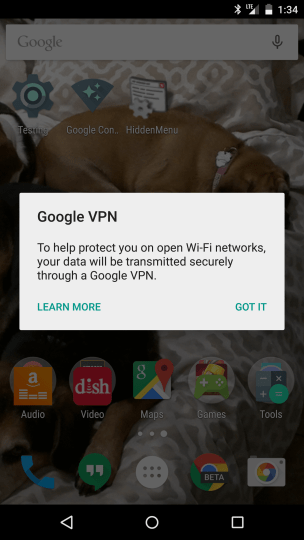 Pocketables revealed that Google is secretly working on a Virtual Private Network (VPN) service named Google VPN for use on open WiFi networks. Google is working to improve security of its mobile users, according to people at Pocketables the IT giant is secretly working on a Virtual Private Network (VPN) service, dubbed ‘Google VPN’. Google VPN will allow Android users to connect to an unsecured WiFi network securely, avoiding traffic eavesdropping through MITM attacks and consequent exposure of sensitive data. 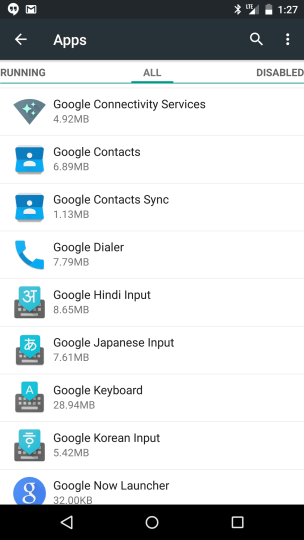 The news is still unofficial, but some users have noticed a hidden app called “Google Connectivity Services” visible under “All Apps” in the app manager. The Google VPN service appeared with the installation of the latest version of the Google mobile OS, Android 5.1 Lollipop on a Nexus 6 phone. “The app is only viewable in the list of apps in Android’s settings menu, and it can’t be launched by normal means (like, you know, tapping on it).But once it is launched, it displays a pop-up titled “Google VPN.” “To help protect you on open Wi-Fi networks, your data will be transmitted securely through a Google VPN,” it reads.” states the TechRadar in a blog post. Google VPN is discovered only on Nexus 6 mobile device, it’s still unclear when the company will officially launch its VPN feature and how it will be available for Android users.